In the wake of the Scottish Government’s recent announcement of plans to issue statutory guidance to make the use of electric shock collars in dog training an offense under the Animal Health and Welfare (Scotland) Act 2006, the Department for Food, Environment and Rural Affairs (DEFRA) in England is proposing a nationwide ban on two types of e-collars (i.e. hand-held remote-controlled devices and containment systems) for cats and dogs. 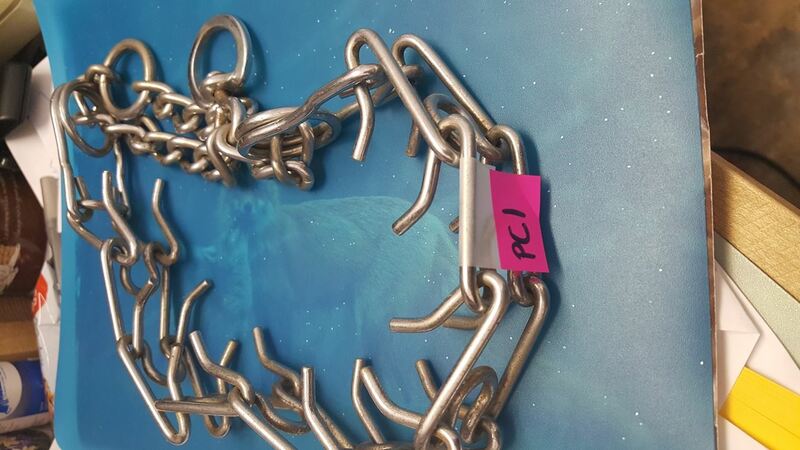 PPG is seeking your support to ensure DEFRA hears from as many educated force-free trainers as possible who understand the science of behavior and learning theory, and to make this ban go ahead. If you are in the United Kingdom and would like to have your say in the matter, please complete this brief online survey which calls for public feedback on the proposal. Outside the United Kingdom, you can provide your feedback via email. The deadline for all feedback is April 27, 2018. PPG is recruiting Shock-Free Coalition regional coordinators to help build out localized chapters of the Shock-Free Coalition, both in the United States and worldwide. This is an exciting role for individuals who are passionate about the coalition, the pledge and its goals, and who want to work closely with PPG leadership to move our advocacy platform forward. With the added support of a legal team, this will be a dynamic and fast-paced initiative. Click here for more about the requirements for Shock-Free regional coordinator roles and responsibilities, and here to submit your application. Meanwhile, if you have not yet, then please like the Shock-Free Coalition Facebook page to stay up-to-date with all the latest developments. Cooperative Paws Service Dog Coach™ has signed up as PPG’s latest corporate partner. 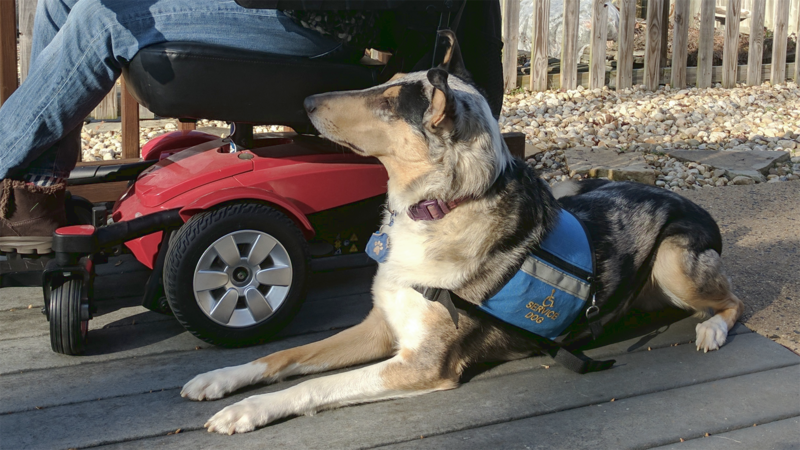 Cooperative Paws Service Dog Coach™ is an online CEU approved certificate program for professional pet dog trainers interested in learning to train service dogs. PPG members are eligible to waive the application fee when applying. You can find the discount code in the member area of the PPG website and then place your order here. view your existing event registrations, pay an outstanding event registration fee and view your member profile. 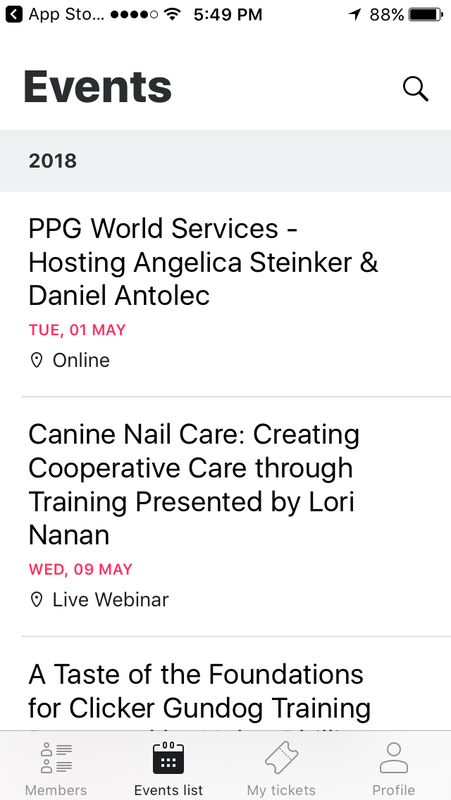 Download the PPG app. 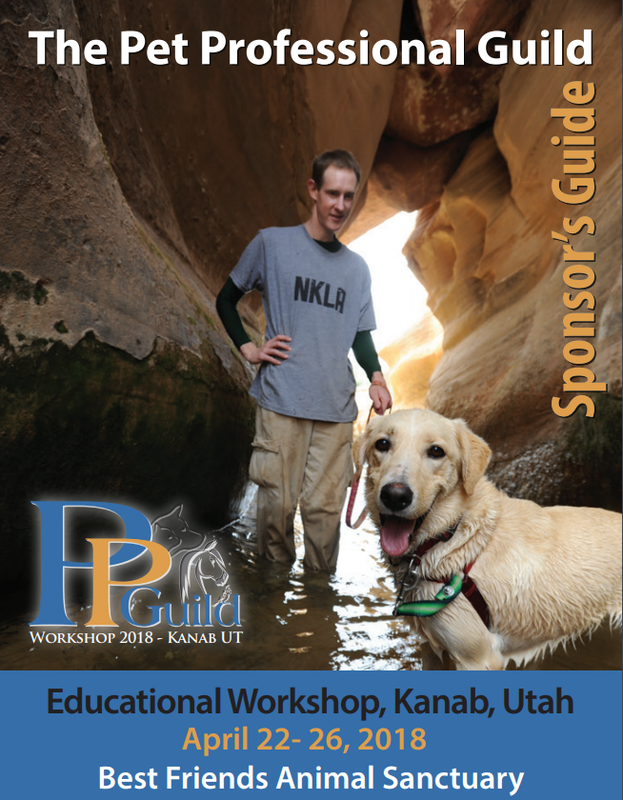 Did you know there is a special discounted registration for the PPG’s Training and Behavior Workshop at Best Friends Animal Sanctuary in Kanab, Utah on April 22-26, 2018? If you want to attend the lectures but don’t want to participate in the hands-on workshops, there are still 36 hours of presentations to enjoy over the four days. Sign up here. Sponsorship opportunities are also available. PPG has developed several opportunities whereby vendors can invest in from afar, leaving PPG to do all the legwork. The sponsorship document sets out the various options available, and vendors may also contact PPG to discuss their goals, or complete a short form to indicate their preferences. 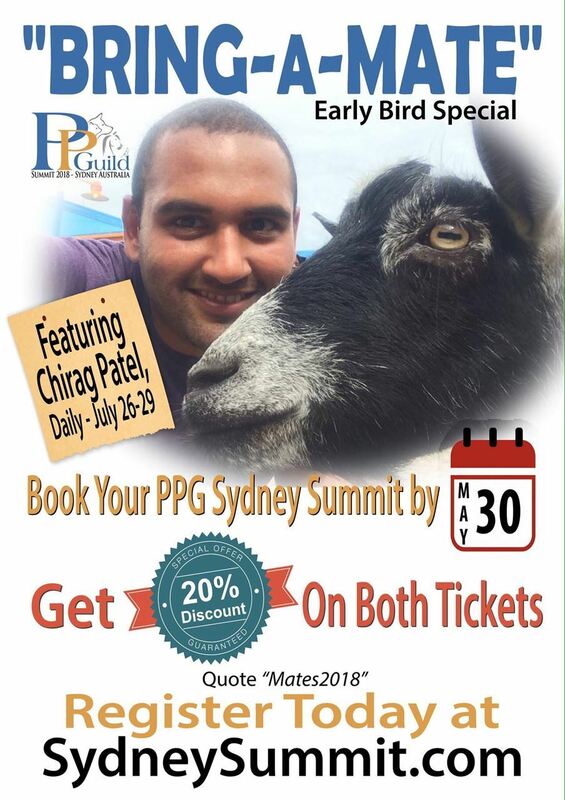 Popular behavior and training consultant, Chirag Patel is the latest presenter to sign on to present at PPG’s inaugural Australian summit, to be held at the Bankstown Sports Club in Sydney on July 27-29, 2018. Grab your spot in our Early Bird Special – sign up now and enjoy a monthly payment plan with no interest, or get 20 percent discount by "Bringing a Mate!" PayPal Subscription: If you currently pay your monthly membership through a PayPal subscription, you will receive a subscription cancellation notice from PayPal. When you renew your membership on April 1, you will be able to activate your ALL NEW monthly automatic renewal from your membership profile on the PPG website. You can choose to make this monthly payment using a credit card or a PayPal account. Once you set this up you will then not have to do anything else each month, the system will automatically do it for you. Monthly Payments through the PPG Website: If you are currently using the monthly membership option through the PPG website, you will also be able to set up an automatic monthly renewal payment using either a credit card or PayPal. Once you set this up, it will make each monthly membership renewal effortless and you will no longer receive the monthly renewal reminder emails. PPG is to host three workshops at its Tampa, Florida headquarters later this year. The first is Successfully Train and Compete in the Show Ring – Learn the Knowledge and Skills You Need to Compete or Teach a Professional Curriculum, presented by Vicki Ronchette and supported by Niki Tudge. The two-day workshop takes place on September 22-23, 2018. 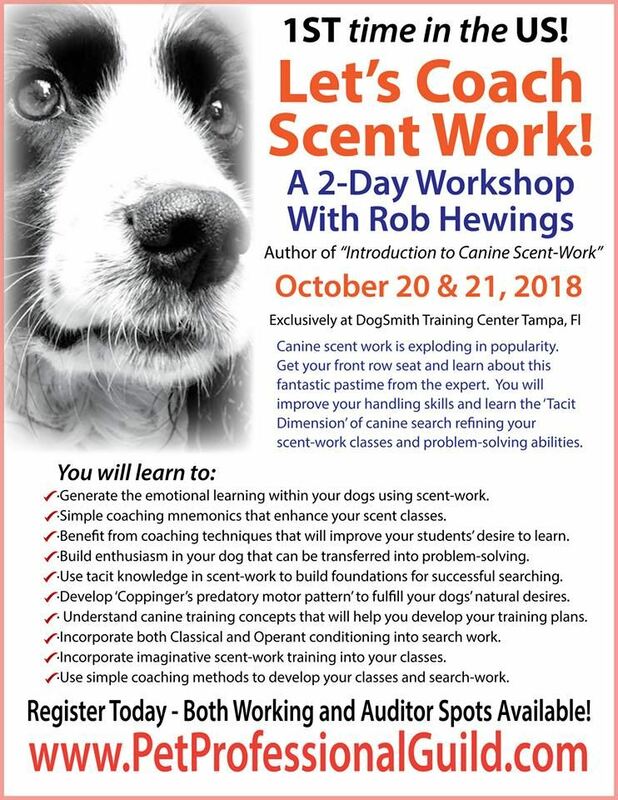 The second is Let's Coach Scent Work!, a two-day event taking place on October 20 – 21, 2018 and hosted by Robert Hewings, head of learning and development for the United Kingdom College of Scent Detection. It will be Hewings’ first-ever appearance in the United States. Both working and auditor spots are available. The third event is the Walk this Way two-day instructor certification workshop with Louise Stapleton-Frappell and Niki Tudge on October 22-23, 2018. Again, both working and auditor spots are available. 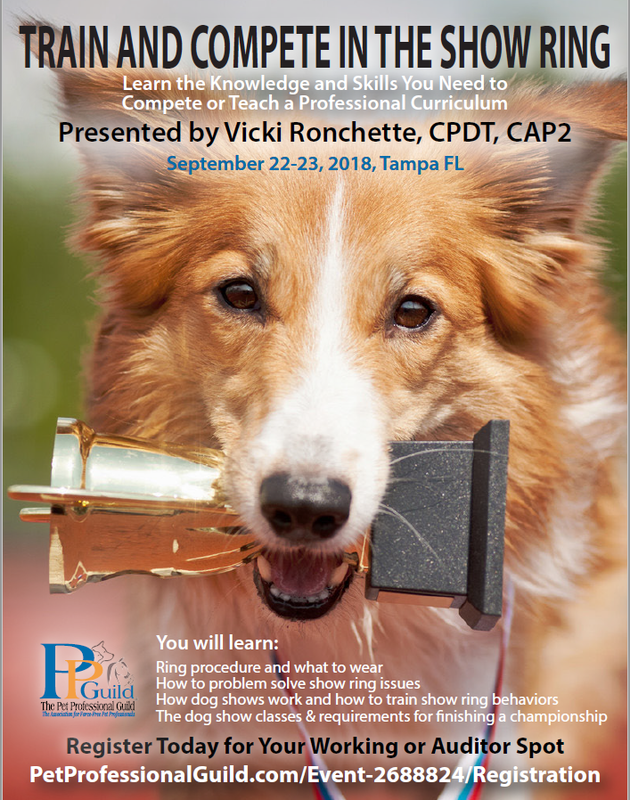 PPG is to hold a day of free education and fun for Florida-based PPG members and DogSmiths on Sunday, September 16, 2018 at its headquarters in Tampa. 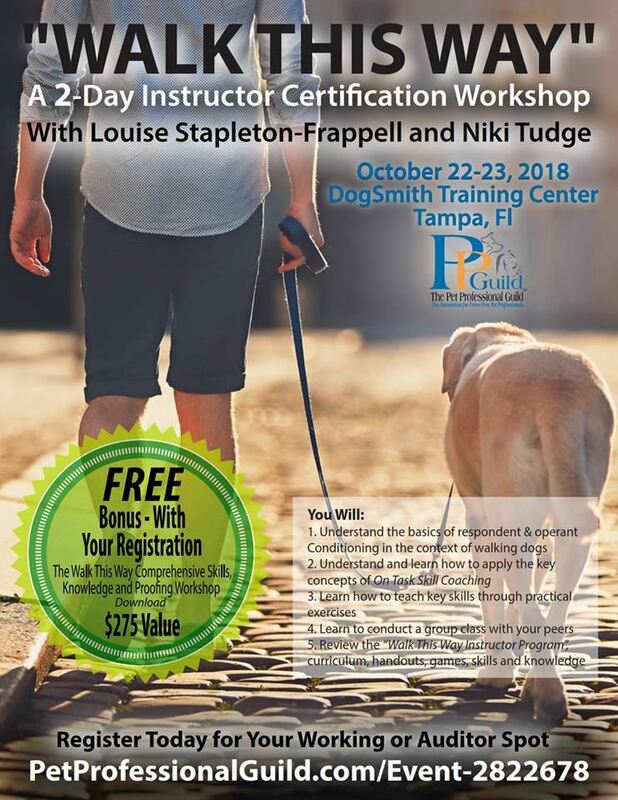 The schedule includes presentations by PPG president, Niki Tudge, local veterinarian, Dr. Lynn Honeckman, and Tampa-based dog trainer and behavior consultant, Angelica Steinker. If you bring your dog, you can take part in a group training session to prepare you for an afternoon of fun competitions, including a “just-4-fun” agility competition. If you don’t have your dog, then you are welcome to help coordinate and judge the event. There will even be an award ceremony for the winners. Limited spots available! Find out more and register. Training: A 10-step protocol to aid in dog bite cases. Training: competitive Obedience and Rally from the perspective of the deaf dog. Training: Force-free snake aversion training. Canine: Moving house with minimal stress for the SA dog. Canine: Dealing with post-traumatic stress and how boxer puppy Lulu helped her ex-military guardian transition back into society. Canine: Working as a missing animal response technician. Avian: The tale of Murray, the green-winged macaw rescued from a home supply store, and overcoming his aversion to human contact – twice. 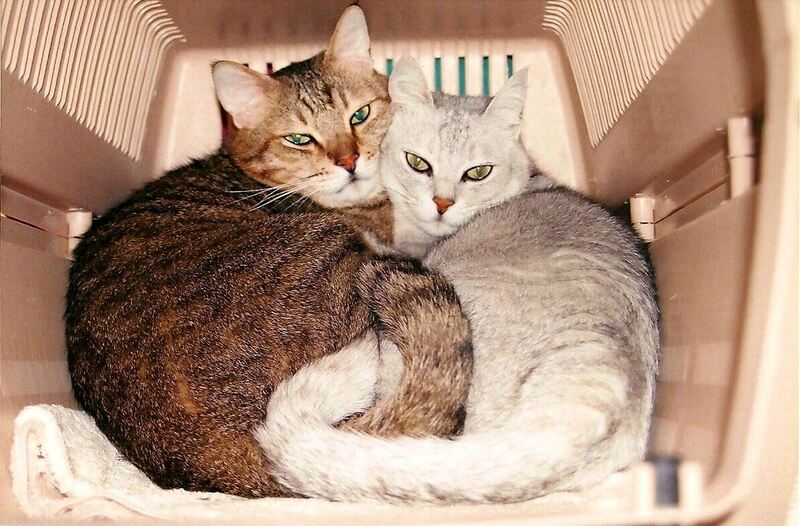 Feline: Common cat behavior issues - Litter box behavior and petting/biting. Equine: Self-restraint and the use of food in training. Consulting: The importance of reading both human and canine body language. Consulting: The impact living with a dog with behavior issues can have on the resident humans. Business: Our regular Ask The Experts column with dog*tec. Comment: Getting past dominance theory. Note: Orders close Monday, April 9. 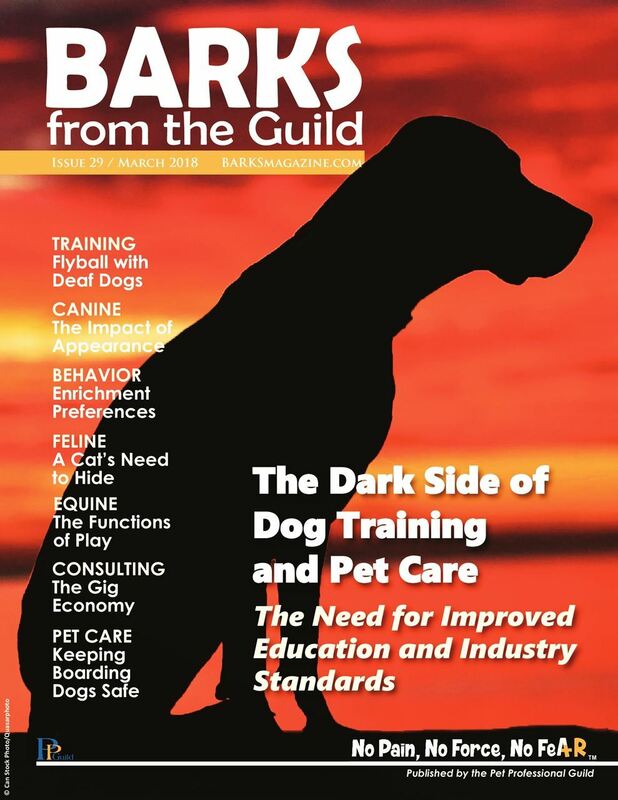 Read the March 2018 digital edition of BARKS. BARKS is also on Facebook. If you would like to write for BARKS, either as a regular contributor, have a one-off article you'd like to submit, or would like to contribute to the PPG Blog, please email the editor, Susan Nilson. 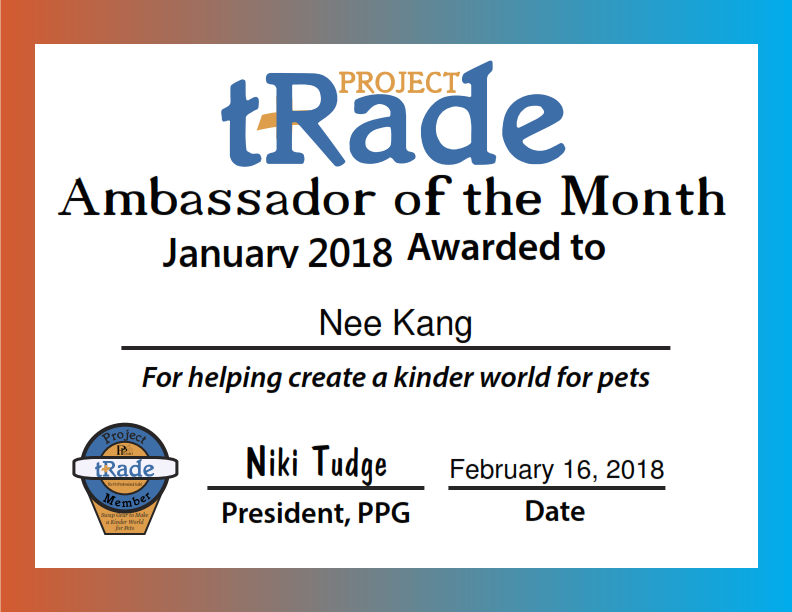 Congratulations to Nee Kang of Cheerful Dogs in Singapore who traded two choke chains, and one throw chain (photo, left) and is Project Trade Ambassador for January 2018. 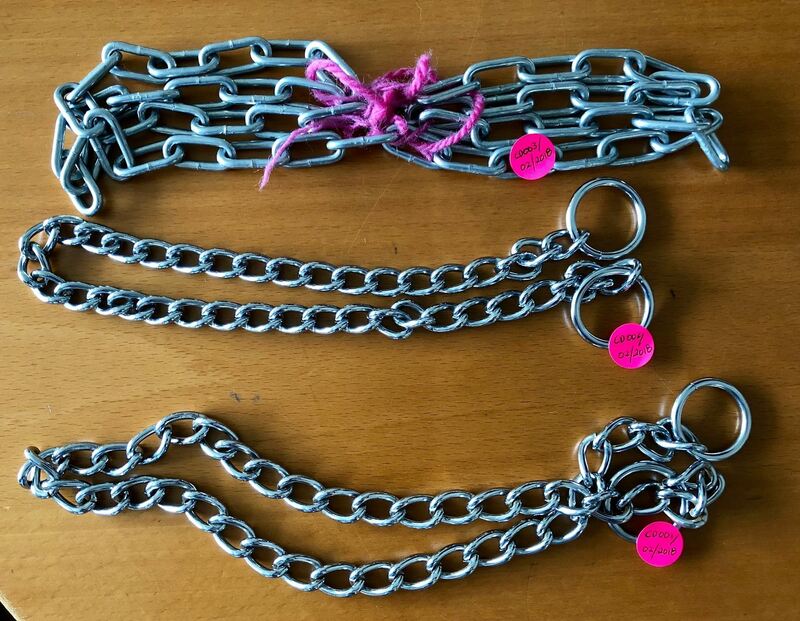 Congratulations too to Katie Costello of The Canine Campus in Ohio, United States, who traded one prong collar (photo, right). Have You Signed the Shock-Free Pledge? The key purpose of the Shock-Free Coalition is to build a strong and broad movement committed to eliminating shock devices from the supply and demand chain. This goal will be reached when shock tools and equipment are universally unavailable and not permitted for the training, management and care of pets. The Shock-Free Coalition believes that pets have an intrinsic right to be treated humanely, to have each of their individual needs met, and to live in a safe, enriched environment free from force, pain and fear. Members of the Shock-Free Coalition consider it to be their responsibility and utmost obligation to be vigilant, to educate, to remain engaged and work toward eliminating shock as a permissible tool so it is never considered a viable option in the training, management and care of pets. Sign the Shock-Free Pledge. Topic: Pigs, hen and dogs, plus Chirag's sessions at the PPG Training and Behavior Workshop in Kanab, Utah next month. Register to listen live. Veronica Boutelle: - Let's Opinionate! 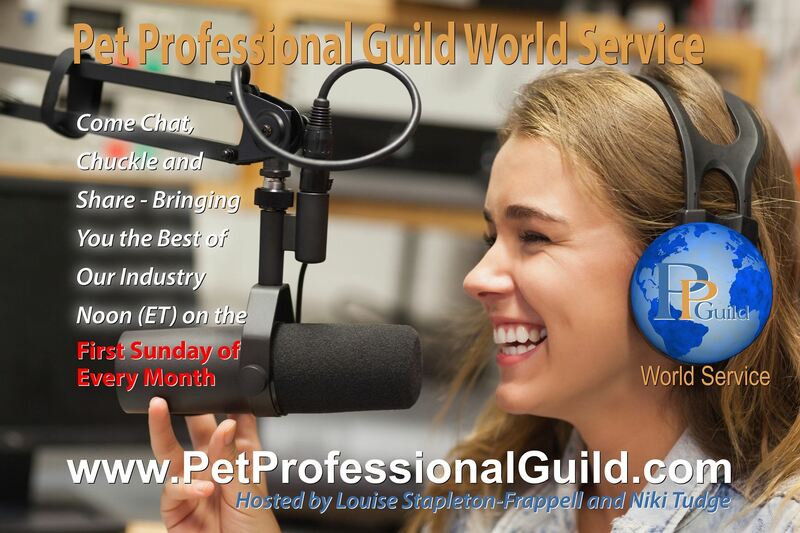 Education in the pet industry, from March 14, 2018. PPG is offering selected webinars at a discount this month (discount valid till March 31, 2018). Are You Biting Off More Than You Can Chew? Are You Really Ready to Work With Aggression Cases? 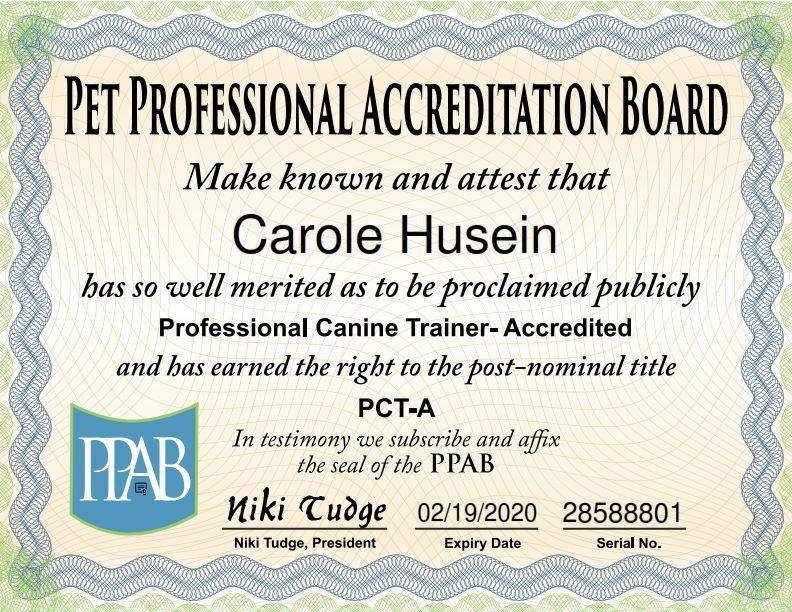 Congratulations Carole Husein of PPG British Isles, who is the first PPAB credential transfer and now a Professional Canine Trainer - Accredited! Find out how to transfer your credentials to PPAB here.